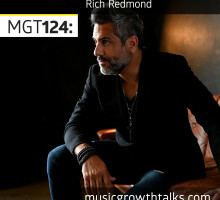 Rich Redmond, an influential and prolific drummer, entrepreneur, speaker, and actor, shows how to not only survive, but thrive in the music industry (and life in general). Dubset is a tech-meets-rights-management platform that can clear everything from mixtapes to remixes and turn them into revenue for artists and writers. Listen on to see what it means to you. 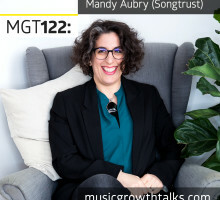 Mandy Aubry shows how to collect publishing royalties with the help of Songtrust, a unique and flexible publishing administration platform, and explains numerous aspects of the confusing world of music publishing. 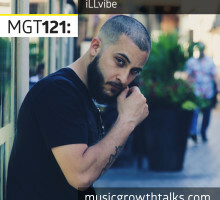 iLLvibe, a hip-hop artist and the founder of LyricVids.com, explains why filming a low budget music video can “brand you down”, and talks about storytelling, branding reaching new fans on social media, running targeted ads, and more. 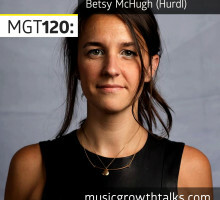 Betsy McHugh is the Founder of Hurdl, pioneering “the next generation of fan-based marketing” at live events through LED wearables. 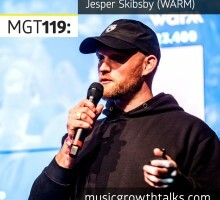 Jesper Skibsby, the founder of WARM (World Airplay Radio Monitor), explains the technology behind their platform, talks about two reasons why you would want to track worldwide airplay for your songs, and shows what you can learn from a single radio spin. Learn to grow your music brand. 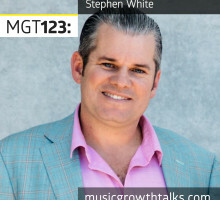 Sign up below to get a new Music Growth Talks podcast episode delivered to your inbox every second Monday.